Thanks to all candidates for the position of our new vocalist since the last line-up change, especially Ash from Agathodaimon and Olli-Jukka Mustonen, but we've finally made our decision. 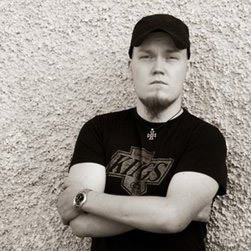 Our new vocalist is Juha-Matti Perttunen from a band called All Against. There was a damn tight fight between the last three candidates, but JM took over everything with his charisma, attitude and especially wide variety of different vocals to cope with our all songs. Welcome to Cata-family, Juha-Matti ... the stage is yours!